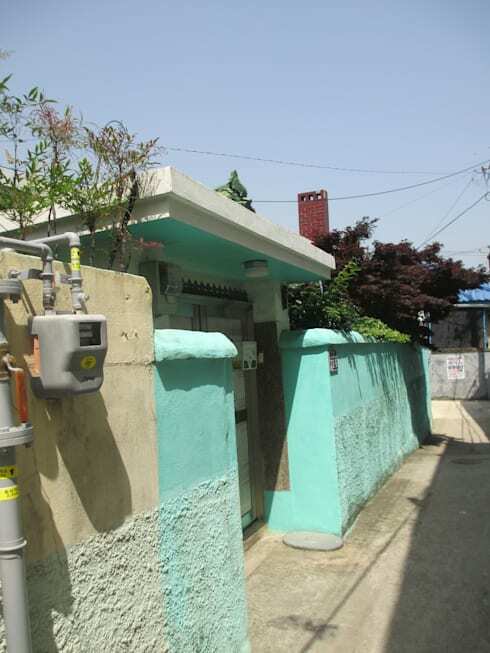 Today we travel all the way to the South Korean city of Gimhae to bring you a quick look at the renewal of a quaint family home. Handy Design is the company responsible for this project, and we are sure you'll agree that they have done an outstanding job with it. 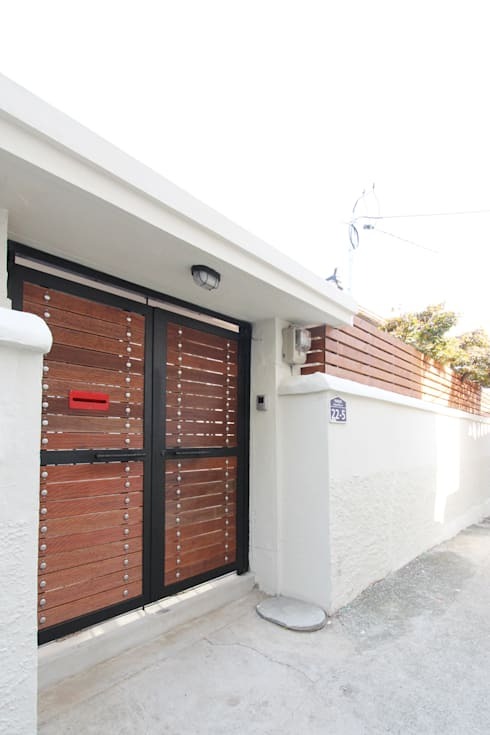 The home in question is a small, single storey building in a suburb, surrounded by plants and lush vegetation. It is evident that the natural aspect had remained a priority for the designers, as they tried as much as possible to include plants in a sustainable design of the new home. This project serves as example to show us that even small transformations can be significant, and that first impressions do make a big difference after all! Let's take a closer look. Our first impression of this suburban home is not an impressive sight. Although we won't expect too much of a standardised single storey family home's structure, we would think that some more tasteful could be done with its decoration. 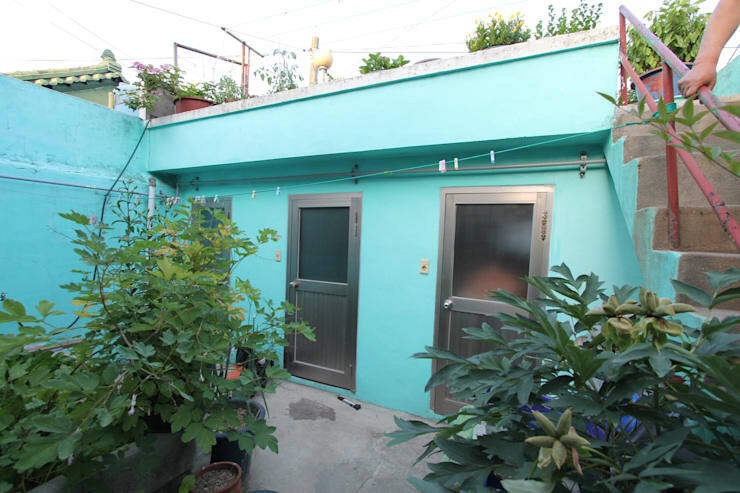 The bright, turquoise-blue colour used to paint the exterior walls seem a bit overwhelming and even slightly tacky. It may be that the owners wanted something to distinguish their home from its neighbours, but there certainly had to be more sophisticated ways to do it. The plants do, however, obscure much of the façade in this image, which may subdue the effect of the shocking colour slightly. With an ideal design, the vegetation should be complimentary to the architecture, and not there simply to hide it. Now, this is a first impression with which we can get on board with! The entire image of the home had been transformed into that of a minimalist, contemporary space. The use of wood and stone, instead of the strangely-coloured plaster, works excellently in conjunction with one another to render the font entrance of the home in this modern style. What we see here is an elegant and timeless porch area, that is not only a stylish entryway to the home, but also a space which can be used for social purposes, if necessary. Speaking of porches, why not take a look at this ideabook on how you can easily extend your porch or patio area? The tree we see here in the middle of the deck had survived the renovation process and the ordeal of construction surrounding it, and the architects took special measures to build around it and include it in the new deck area. This is a great example of creating harmony between the built structure and the natural environment, without one overpowering the other. It is much better than the overgrown image we were introduced to. 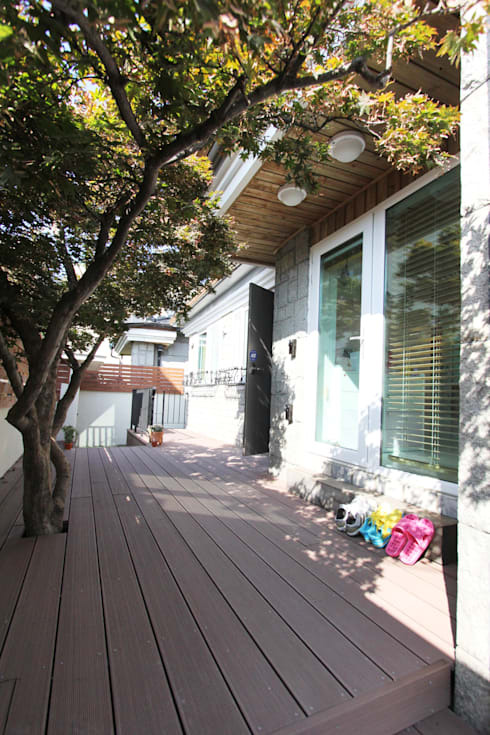 Here we can see the street entrance of the home before the renovation. Once again we face ourselves with the startling blue that is so overwhelming to the senses and out of place with a modern home. This exterior view is even worse, though, since the plaster is uneven on the outside and the entire structure of the wall and entrance looks completely unkempt. Beside the shocking colour of this property, there is nothing special about this entrance that would make one stop and appreciate the architecture. 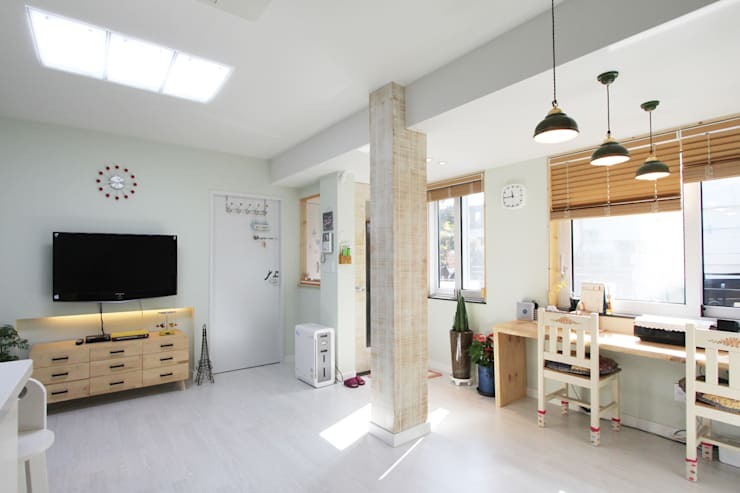 It is not difficult to imagine why the owners wanted to renovate their home. The aim with the fence transformation was to create a clean and bright appearance, as opposed to the tired and pedestrian look the street view of the house had before. This said, the new appearance must be sophisticated as well, and when we say bright, we are certainly not referring to another bright blue! Well, we think we can safely say that the architects achieved their goal, since the new entrance of the home is in a contemporary and style with clear lines and the light finish of the neutral coloured plaster. The wooden elements in the gate and on top of the wall grounds the design in nature, which we have already mentioned as a great influence in this project. Although we don't have an image of the interior of the home before the renovation, we think it is well worth a brief look at the transformed interiors. In this image we can see the open-plan living area of the house, which capitalises on the use of multi-functional areas to make the most out of the space. To the right we can see a desk pushed up against the window, ensuring access to full and bright natural light, cutting down on the use of artificial sources. To the left we see the home entertainment are, with the TV situated on top of a multi-storage unit. The flooring and walls are all in subdued, neutral colours, complemented by the abundance of natural light flowing into the home. What do you think of the home's new exterior?